A grim Foreign Intelligence Service (SVR) report circulating in the Kremlin today warns that the United States is facing a “potential bloodbath” during next weeks Thanksgiving Holiday period at the hands of Islamic State (ISIS/ISIL/Daesh) terrorists—the leaders of whom are now being actively searched for after they were secreted into America by a top US Army General fired by President Obama just hours before the Friday the 13th Paris Massacre. According to SVR intelligence analysts, and as we reported on in our report titled Only Jews Were Saved After France Ignores Russia-Israel Warning Of Paris Massacre, the Federation issued a 12 November warning bulletin to the French General Directorate for External Security (DGSE) that a terror attack was about to take place—a warning that was, shamefully, ignored. Causing this extraordinary warning to be issued to be issued by the SVR to the DGSE, this report explains, was the tracking of movement and communications of Islamic State terrorists known to be planning attacks—4 of whom were secretly transported from Syria to the Incirlik Air Base in Turkey where they then boarded a US Army cargo flight bound for Joint Base Andrews located near Washington D.C. Authorizing the transport of these Islamic State terrorists to America, this report continues, was US Army Lieutenant General Ron Lewis—who aside from being the top Pentagon aide to Defense Secretary Ashton Carter, had also been the main liaison between the Pentagon and France last week for a massive terror exercise that took place the morning of the Friday the 13th Paris Massacre. As to the whereabouts of the 4 Islamic State terrorists General Lewis secreted into America immediately before his firing, this report says, it is not know at this time—but a secret internal US police bulletin for them has been issued, which was subsequently made public after this grave notice was leaked by “unnamed/unknown” sources to WTTG-TV reporter Emily Miller. 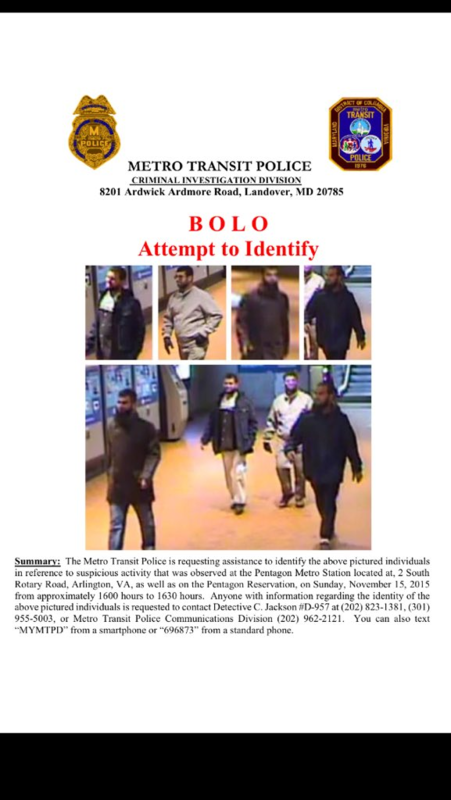 The SVR, however, in their tracking of these 4 Islamic State terrorists since they last appeared on camera at the Pentagon metro station, this report continues, shows them traveling to the Boston, Massachusetts, region where, “coincidentally”, a US Army armory was reported to have been broken into where a substantial amount of weapons and explosives were stolen. Combined with these 4 Islamic State terror leaders now in the United States, this report further notes, continuing reports of Syrian terrorists entering into America continue to flood in—including the 8 Syrian terrorists captured on the Texas border and another 5 arrested in Honduras caught traveling to the US using stolen Greek passports. 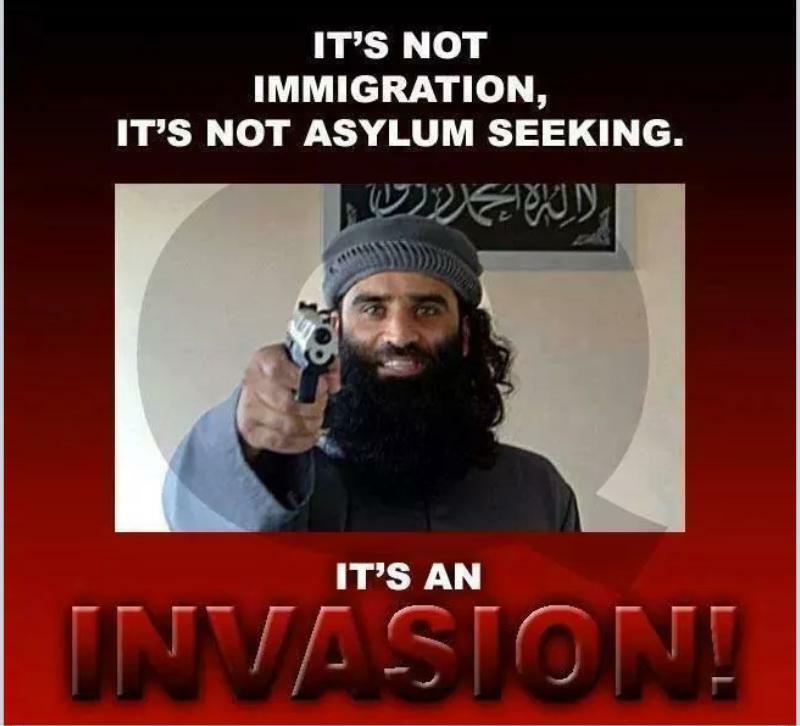 Not to the captured Islamic State terrorists entering into America is the SVR concerned about either, this report states, but rather it is those terrorists that haven’t been caught—such as the Islamic terrorists invading the US found residing in Kentucky last year after they entered into the United States via their refugee programme. And not just looking for an enemy either, this report explains, but actually creating one as many world experts are wondering why the United States still hasn’t cut off the Islamic States funding sources—and which President Putin warned about this week in his noting that these terrorists are being funded by 40 nations, including those belonging to the G-20. 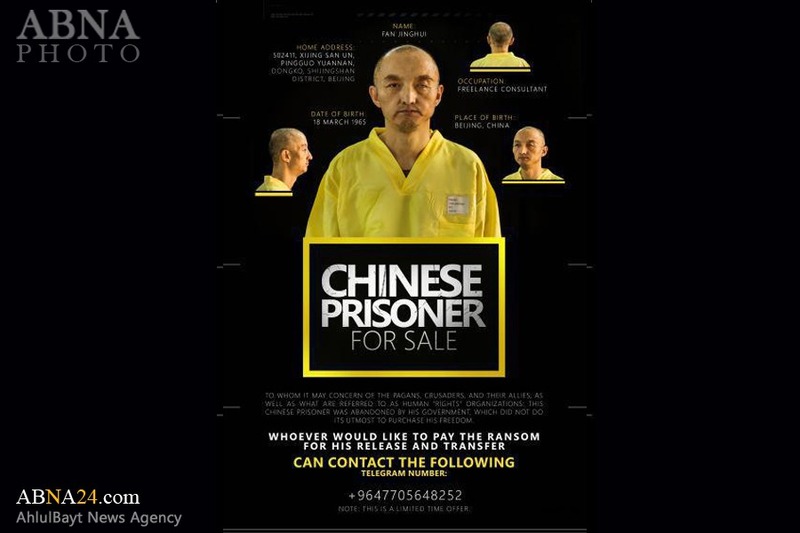 Not playing the United States “game” with these Islamic State terrorists though, this report continues, now includes China after these barbarians executed one of their citizens they had previously put up for sale. With the Friday the 13th Paris Massacre, also, now being confirmed to have been Western led and directed, this report says, French President Hollande has now broken with the United States telling President Obama his nation won’t wait for America’s lead in fighting these Islamic State terrorists—a stance that was quickly welcomed by the Federation and causing President Putin to issue orders telling the Russian Navy to work with their French counterparts in conducting this war. 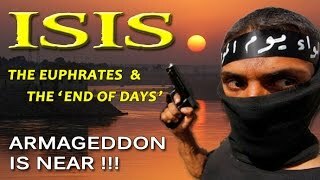 And now with the Federation, France and China devoted to waging total war against the Islamic State, this report grimly warns, all that remains is for the United States to suffer a crippling attack like Paris—which SVR analysts note could occur as soon as next week during that nations Thanksgiving holiday, which will, undoubtedly, plunge the Americans into further terror. But to the greatest concern of the SVR, this report concludes, is that by the Islamic State expanding this war by acts of terror may seem like a self-destructive move—it is squarely in keeping with what these barbarians advertise as its overriding, apocalyptic mission: to lure the world’s unbelievers into Syria for a final, Armageddon-like battle. November 19, 2015 © EU and US all rights reserved. Permission to use this report in its entirety is granted under the condition it is linked back to its original source at WhatDoesItMean.Com. Freebase content licensed under CC-BY and GFDL.